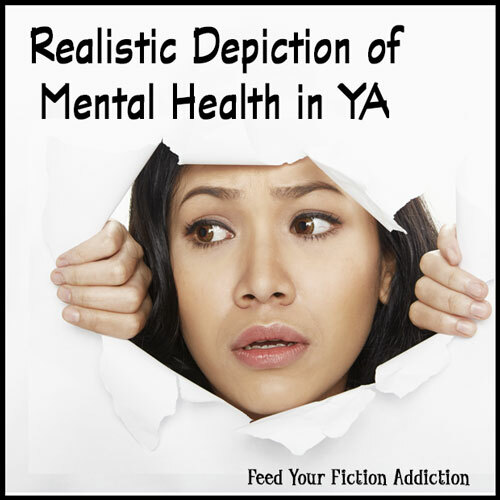 Realistic Depiction of Mental Health in YA: Let’s Discuss. 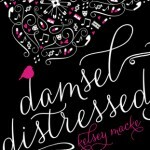 Recently, Kelsey Macke contacted me and asked if I’d help her promote the 3rd anniversary of her book, Damsel Distressed. I loved the book, so I jumped right onboard and agreed! But I didn’t want to just post a spotlight that most people would completely overlook (I probably would, if I’m being honest). So, I thought back to the book and wondered why it sticks out in my mind so much. After all, I read it over two years ago. Sometimes I have a hard time remembering a book two months later, much less two years. It didn’t take me long to realize that the reason I loved this book so much was because of how honest it was when it came to the issue of depression. I might not remember every detail of the plot, but I remember how Imogen struggled with deep feelings of depression, even though she had people around her who loved her and wanted to help. She wasn’t instantly cured by the love of well-meaning friends and family (or a boy). Her issues were much more complicated than that, and they couldn’t be wished away or explained away. I remember that the book tore me apart emotionally. And sometimes I felt downright frustrated with Imogen, but that was part of the point—it didn’t matter if Imogen knew she was being unreasonable, she still couldn’t magically change. Sometimes I think we need more books like this. I love that we’re seeing mental health issues addressed more and more. I love that there are books like Damsel Distressed that (in my opinion) do it exactly right. Let’s face it, we want to see people get better in our stories. (And in life… reminds me of a quote from another, more recent read, A Semi-Definitive List of Worst Nightmares: “People got tired of mental illness when they found out they couldn’t fix it”) But that doesn’t mean that we shouldn’t see the struggle while they’re on their way (and we should have a sense that the journey isn’t completely over even at the end of the book). 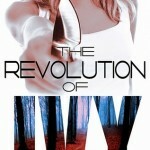 And now… make sure you check out Kelsey Macke’s book, which is three years old tomorrow (the 14th). You can find my original review HERE. By the way, if you haven’t yet, check out the Shattering Stigmas Event, which is going on right now and brings attention to mental health in YA. 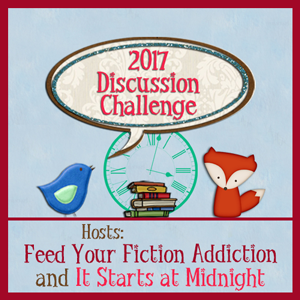 This post is being linked up to the 2017 Book Blog Discussion Challenge. Have you read a book that gives a particularly realistic portrayal of mental health? I want to know! What a great idea for how to promote the book, and what a great discussion in general! We do need more books that show the reality of mental illness. Like what you said about being frustrated, I’m sure that was the point since the character herself was prob frustrated, and is it not the point of books to show us what it’s like to be in the characters’ shoes? Great post! Yes, this seemed much more interesting than a spotlight! We always talk about how there need to be books for all readers to connect to, and there are a great many people suffering from mental illness. Why shouldn’t there be books that show them struggling? Doesn’t that make someone feel less alone in their own struggle? 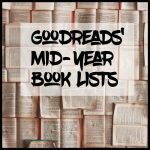 Sam@WLABB recently posted: Discussion: I Goodreads, Do You Goodreads? Exactly. Sometimes we want that depressed person to just hurry up and feel better (let’s face it, sometimes we even want that in real life), but that’s not the way it works. Even people with lots of support still struggle, It doesn’t make the issues go away completely. This sounds like a good book. I’m glad it has realistic depression rep. We need more books that show the struggle of living with mental illness because these illnesses aren’t “cured” easily. Sometimes all the sick person can do is learn to cope with their illness. Yes. I appreciate when we see some growth in the character, but at the end, there’s still a sense that there’s no “cure.” In this book, that was acknowledged. 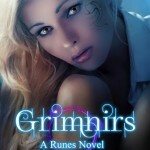 Imogen realizes that her depression is something she will always deal with. I love when a book sticks strongly with you over the years. Especially when it portrays something so accurately. I have one that’s kinda similar because it deals with PTSD, I’ll Meet You There. Usually books I’ve read don’t portray PTSD realistically, but that one definitely did. I’ll be checking this book out, thanks for making me aware of it! That quote from Semi-Definitive List is so spot-on. In books and in real life, as you say, lack of progress is exhausting. 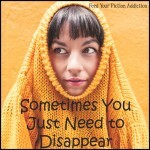 I think back to a woman I knew 20 years ago who developed all sorts of mental health issues, and I have always regretted how I responded–I tried really hard to be a good friend for awhile, but then I kind of slowly backed away. It’s one thing I wish I could go back and change. But that’s also why books, discussions, and events that really look at mental illness are so important. We can only do better when we know better. Also, the book sounds good, and I’d never heard of it, so now it’s on my TBR. So this post did its job too! I have to confess that I’ve had the same response with someone close to us. It can start to feel overwhelming over years of being close to someone with mental health issues and our natural inclination is to separate ourselves from the situation. That doesn’t make it right, but it is what often happens. Aw thank you SO much for linking to our event! I really appreciate it! This is one book that has been on my Must-Read mental health book list. CRAP you just reminded me that I forgot to post my poll about which book I should read with MH! Darn. In my end of month recap I will, I guess! I have heard great things, that is handled really well. LOVE that quote from Semi-Definitive List, too. And your point about the journey not being over is SO key, I wish more authors would realize that it doesn’t have to end just because the book does. Hope and optimism are great , but so is realism. Awesome post, Nicole! Shannon @ It Starts at Midnight recently posted: #ShatteringStigmas Wrap Up & Thanks! Yes, I think that so many books try to wrap everything up in a neat little bow, which is so unrealistic. Great post!! 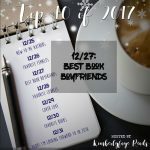 I think the most recent book I read with great mental health rep was a YA called Top Ten by: Kaisie West. I just could relate to it so much and that’s always a good thing when it comes to books like these. 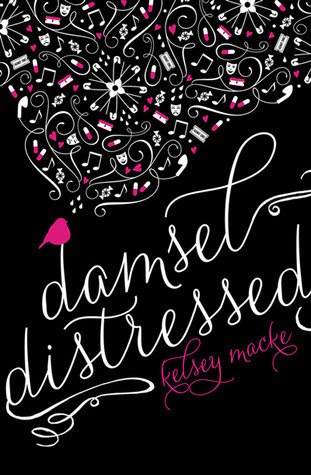 Damsel Distressed was already on my tbr, Nicole, but you’ve just moved it up in the queue. I do appreciate when things such as mental illness are portrayed accurately and realistically in fiction. It helps us connect with the world around us in ways we wouldn’t otherwise, makes us think twice before passing judgement, so to speak. I have friends and family who suffer from depression and it is something that is often misunderstood, so it’s a great thing it’s dealt with realistically in Imogen’s case. I’m glad I could remind you of this book! 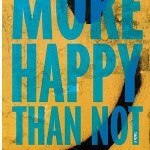 I need to read this book! I love when mental health topics are well rep in books. depression is a very hard illness to explain and people that suffer it feel very lonely and misunderstood! which doesn’t help at all! Yes, I think we need more books that portray it accurately. I think it is brilliant that the book depicted mental health so well and it must have done it incredibly right for it to have stuck with you for all of this time. I remember thinking that Made You Up did a very good job because it made me really get into the head of the main character and her mental illness, and really start to feel the paranoia that is one side to her condition along with her because of how the author styled the book. I pretty much haven’t been able to forget how well that novel did it either. I’m always impressed when a book sticks with me for a long time. That doesn’t happen all that often. Thank you for sharing our event, Nicole! I read Damsel Distressed last year (I think it was for Shattering Stigmas #2, actually) and I remember being really impressed by it as well. And I really love that quote from A Semi-Definite List of Worst Nightmares! It was a really fun book, but that quote really stood out to me as well. 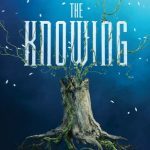 Since Kelsey’s book birthday fell during Shattering Stigmas and the themes are so applicable, I thought it made sense to refer people to your event too!